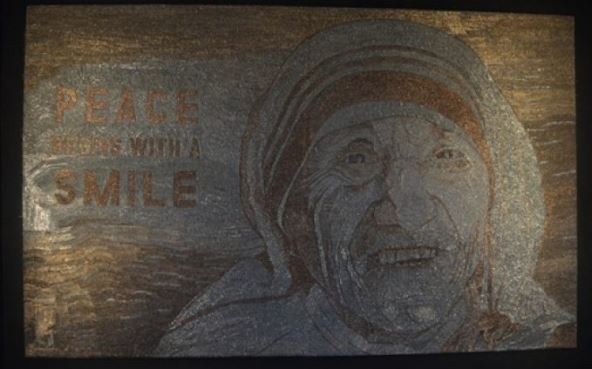 CNN has dedicated a large article to Albanian artist Saimir Strati and his mosaic of Mother Teresa. "If you thing the staplers are designed only to hold together the letters then think again because the largest mosaic in the world in the book of Guinness is created with about 1.5 million stapled," writes CNN. The mosaic is a portrait of Mother Teresa and is staying at the National Museum of Kosovo in Pristina. Albanian artist Saimir Strati has said he was inspired by the refugee crisis and has created a portrait of Mother Teresa smiling. "I wanted to create anything with wire when I saw the news about the influx of refugees. I have seen many buttons that are used to catch the letters in the G-20 summit. But those cards have a lot of work to bring peace and a better world", are the words of Saimir Strati cited by CNN.